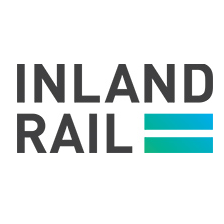 With P2N underway and N2NS expected to start construction in 2019, completion of the Feasibility Designs and EIS for the remaining brownfield and greenfield corridors between 2019 – 2021 are critical for Inland Rail’s timeline. This ARTC Executive Update will explore the priorities underway to ensure construction and operations of the Inland Rail remain on track, and the lessons already learned from the P2N section that can be applied for the remaining corridors. Check out the incredible speaker line-up to see who will be joining Richard.